The Road To Croatia tour will run from April to August, kicking off at London’s E1 for a debut at the warehouse venue, bringing house hero and technical wizard Karizma, Defected favourites Sam Divine, Riva Starr, David Penn and Robosonic, as well as emerging DJ and producer Austin Ato on Saturday 6thApril. The next two stops will be club events at Versuz in Hasselt, Belgium with British duo Gorgon City headlining for the first time for Defected, the night before Belgium’s Labour Day public holiday on Tuesday 30thApril. Gorgon City will be residents at Defected’s Ibiza season in Eden, San Antonio which opens on Friday 17thMay, with a monstrous line-up including MK, Sam Divine, Low Steppa and Simon Dunmore. Following that will be a run of Defected stages at Lakedance Festival in the Netherlands on Saturday 18thMay, We Are FSTVL in Upminster, UK on Sunday 26thMay, Extrema Outdoor in Belgium on Saturday 8thJune and a debut Defected appearance at the Netherlands’ 18HRS Festival, bringing Low Steppa, Monki, Riva Starr, Ferreck Dawn and more. 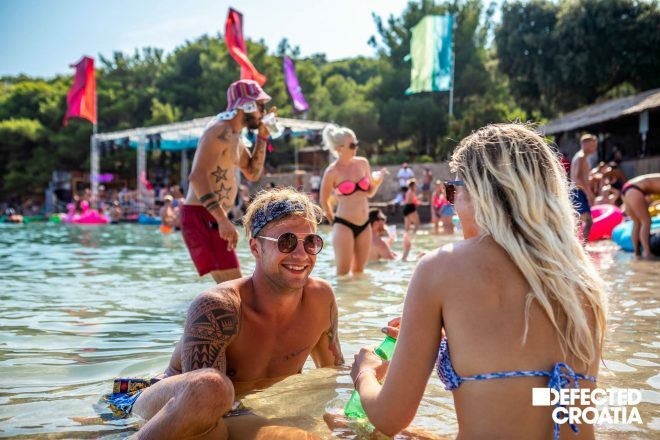 Defected have one final festival stop on Saturday 3rdAugust at Eastern Electrics in Morden Park, London before heading to Croatia on Thursday 8th. That’s after Todd Edwards, Sam Divine, Mambo Brothers, Low Steppa, Ferreck Dawn and Dario D’Attis head to Bristol on Saturday 8thJune for a day and night party at Motion, keeping up a summer tradition for the extended Defected raves at the DJ Mag Top 11 club.